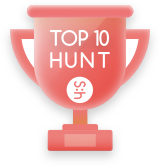 Yesterday, there were 198 products, and $714.42 SBD hunter’s rewards were generated. A place where you can dig products and earn STEEM. Join our Telegram or Discord channel for feedbacks & questions. Hello friend how are you better hopefully your post is very good to me, i can learn new things from your post and learn how much futures people use today in the modern world, how much people have gone today.very great full news.